We pride ourselves on our everyday low prices on service and maintenance for all makes and models. Looking for a place to maintain your vehicle where the service is quick, convenient and reliable? Of course you are, which is why we invite you to bring your vehicle to the BMW of Freeport service center. BMW vehicles incorporate the latest and most complex automotive technology to deliver unrivaled performance but not just any mechanic can maintain the ultimate driving machine nor can just any auto dealership satisfy a discerning BMW driver. That’s why BMW of Freeport service team is comprised entirely of BMW certified technicians and advisors who take care of you and your vehicle the way you expect. From the moment you book your appointment through our online schedule, we guarantee an exceptional service experience that will have you coming back again and again to BMW of Freeport for all your maintenance and repair needs. When a BMW of Freeport customer requires maintenance or repair on their BMW, arranging it doesn’t get any easier. A representative from our service department will meet you at your convenience within 15 miles of our service center. 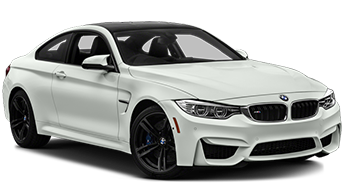 We’ll leave you a BMW of Freeport courtesy loaner vehicle to drive so you can maintain your level of driving enjoyment while we maintain your BMW. Don’t have the time or the inclination to use the telephone? We’re happy to send you a text about what your car needs or once we’re done with the repairs. Pay with your phone or online, so you don’t have to wait in line. Send us your cell number so we send you updates. As work progresses, we’ll send you updates so you can plan accordingly. When the work on your vehicle is complete we’ll send you the invoice so you can pay online and pick up your vehicle without waiting.